I was in need of a gift bag for a birthday gift and couldn’t find one in my mix of party supplies so I decided to decorate one that I already had. This is so easy, makes your gift bag one of a kind and adds so much to the gift. 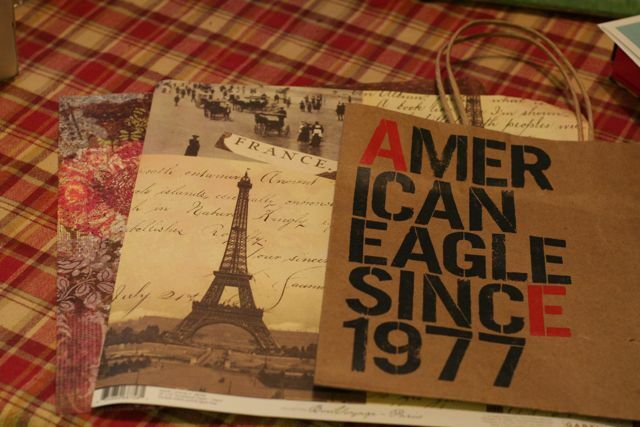 I used an old American Eagle bag. 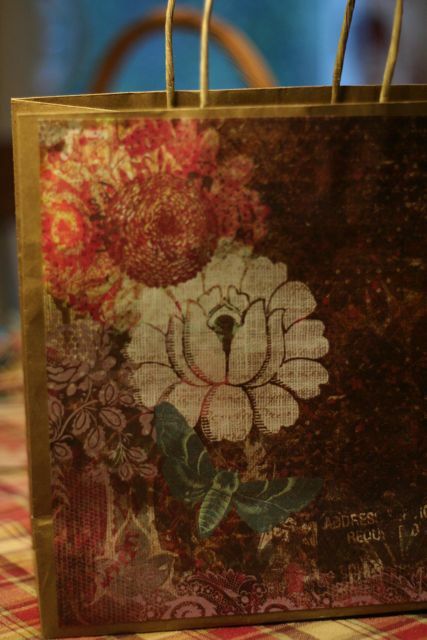 Mod Podge your select scrapbook paper onto the shopping bag, covering the words on the bag. I repeatd the process on the other side. Make sure both sides dry completely before using. 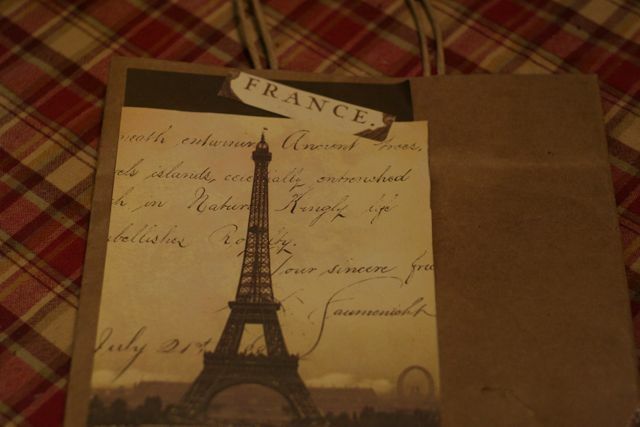 Lastly you cut some scraps from the scrapbook paper and punch holes into them to use as a gift tag. 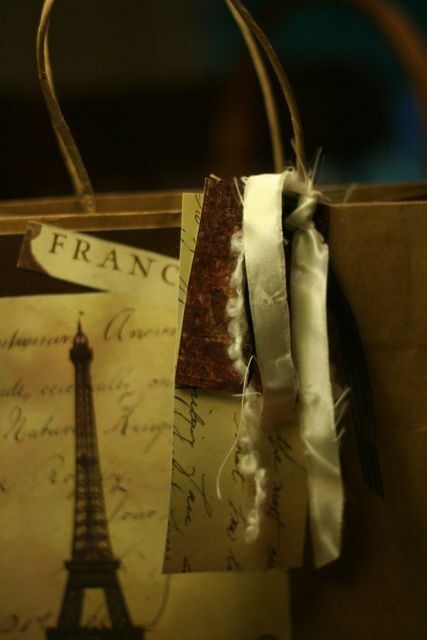 Use scraps of string and ribbon to lace through the holes of the gift tag to attach to the gift bag. Recycling and saving money all in one! This entry was posted in Uncategorized on November 25, 2010 by Deanna. I love this idea, and your gift bag is pretty! Wow, I had never thought to do that! WHat a great fix!